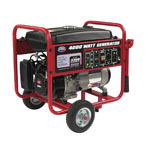 6000W Allpower Propane Generator is ideal for emergency power at home, jobsite applications or alternative fuel usages. 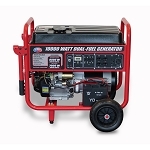 This electric start generator is a propane-powered portable generator with 6000W peak power and 5000W rated power. 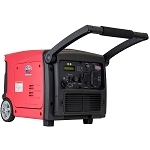 The propane-powered portable generator has a 13HP OHV engine with recoil and electric starts, runs 8 hours at 1/2 load on 5 gallons or 20 lbs of fuel and has 2 AC 120V outlets, 1 AC 120V twist-lock, 1 AC 120V/240 twist-lock and one 12V DC. 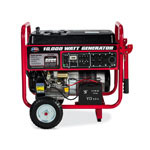 This 6000W Allpower Propane Generator includes an hour meter for easy maintenance and wheel kit and propane fuel hose. 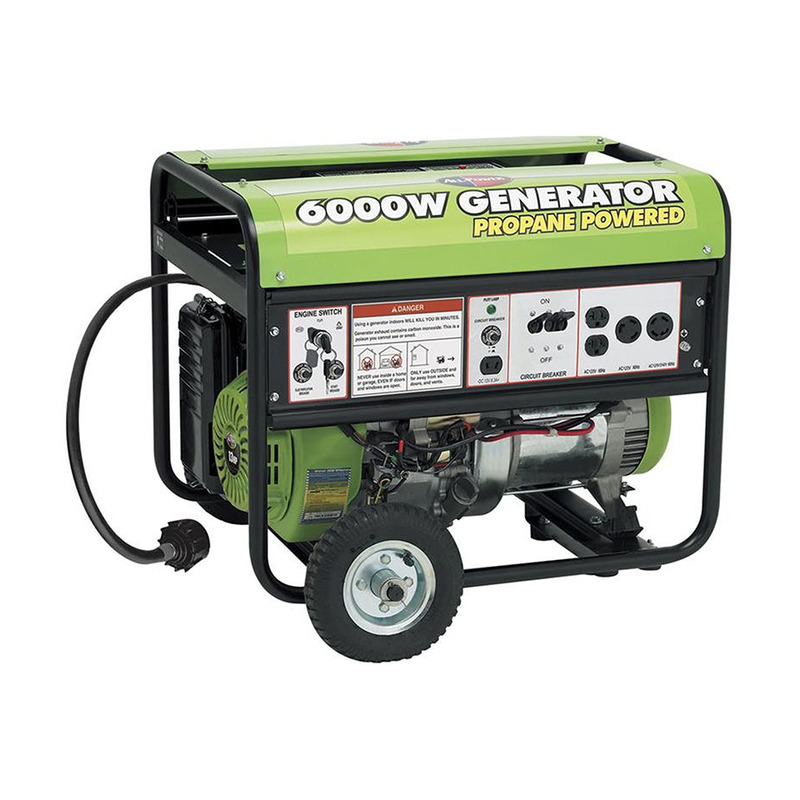 The electric start propane generator comes with a 1-year limited parts and labor warranty for residential applications and 3-month limited parts and labor warranty for commercial applications. Looks to be well made. Easy to assemble the few parts not already attached. Started first try. Have not done heavy load test yet. This was ordered because of health issues. It is excellent, started as soon as gas was put in the tank. Will be hooked up to our main electric panel. 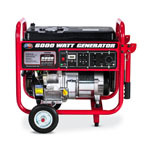 Have not had a chance to use generator as we've had no power outages since we got it but we are pleased with the fact that it worked when we tested it. Assembly went fairly easy. 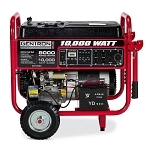 Looking forward to an outage. It should be what I need.